The following are must-see resources if you want to understand the key features and fundamental workflows of Timeline and Cinemachine. Plus, learn how to extend Timeline to support your own playables, and find those hard-to-spot tips that make things go faster. Timeline is Unity’s first native multi-track sequencer, built to be performant, fast and extensible. Timeline is available in Unity 2017.2. Cinemachine is fully integrated with Timeline. It’s a smart camera system (think of it as IK for cameras) that makes it easy and natural to craft shots, build camera rigs, tune and save properties in play mode. It puts industry-leading camera behaviors, and the ability to create with procedural cinematography, in your hands. Ultimately, it frees you to focus on the best ways to tell the story, instead of grappling with complex camera code. It’s not just for cinematics either: it supports a number of gameplay camera components. Learn more and download Cinemachine from the Asset Store. Overview of Timeline and Cinemachine: This talk is an in-depth demo of how to use the fundamental features, providing an overview of all the key scenarios you can orchestrate. By Adam Myhill, creator of Cinemachine and head of Cinematics, and Mike Wuetherick, product manager. 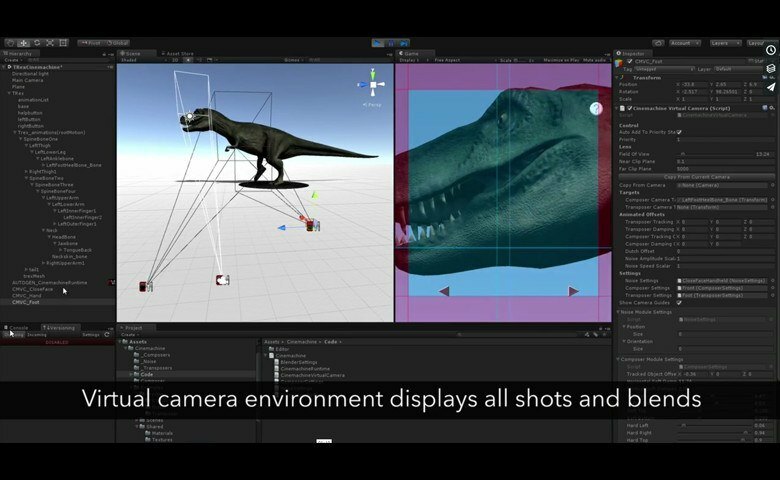 See how Cinemachine can revolutionize your cameras: This talk focuses on Cinemachine: Adam Myhill demos how to use the new system of virtual cameras. Timeline ships with a number of default playables (see below), such as Cinemachine, audio, animation, but you can also extend it. 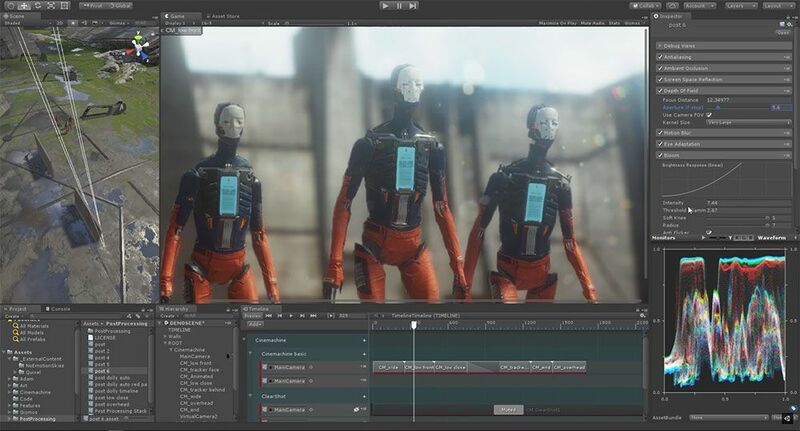 Extending Timeline with your own playables: James Bouckley, a content developer at Unity, takes you through four scripts you can use to extend Timeline: Data, Clip, Mixer and Track. You can download the Default Playables package on the Asset Store. The package includes the Timeline Playables Wizard, which helps you write all the boilerplate code for your Timeline Playables, and a number of example Playables. You know they’re there: those not-so-easy-to-spot tips and tricks that will help you use Timeline and Cinemachine more efficiently. Use Timeline and Cinemachine to mix gameplay & cutscenes: Unity evangelist Andy Touch goes through a demo filled with “mini timelines” to highlight a bunch of time-saving tips. This is a great one to watch once you have some understanding of the key workflows.